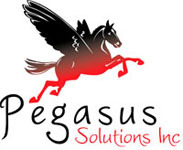 About the Founder & CEO of Pegasus Solutions Inc.
Theresa Horky is the CEO of Pegasus Solutions, Inc. She has over 20 years of health care accounting experience. She started her career at a medium size regional CPA firm with offices in Massachusetts and New Hampshire. During this time she passed the CPA exam and also earned a Masters Degree in Taxation. Ms. Horky began her career in public accounting as an entry-level accountant. Within a year, she was promoted to senior auditor. In this role she was completing audits, reviews and compilations for a chain of nursing homes with gross revenues in excess of $30 million. In only her fourth year, Ms. Horky was promoted to Manager. She was responsible for the completion of over 200 nursing homes' Medicare and Medicaid cost reports. Ms. Horky later became Vice President of Reimbursement for a Northeast company of nursing homes, home health agencies and rehab companies. She has provided compliance plans, established billing procedures, and completed speaking engagements on a national level. With five years of CFO experience she turned around a company on the verge of bankruptcy to a very profitable and compliant company. In July 2005 she started her own company, Pegasus Solutions, Inc. She has been successful at building a solid base of nursing home business helping health care companies throughout Massachusetts and New Hampshire.